Tasting note: Medium garnet, pronounced intensity on the nose, stewed and dried fruit, sweet spice and licorice aromas, hint of tobacco. Full bodied style, medium acidity, ripe soft tannins, on the palate notes of black cherry, plum, cloves, cinnamon, vanilla. Very complex and very smooth, long finish; delicious wine – I absolutely love it. This Rioja Reserva (Tempranillo & Garnacha blend) retails at around £20 which in my view is very good value for the quality you get. 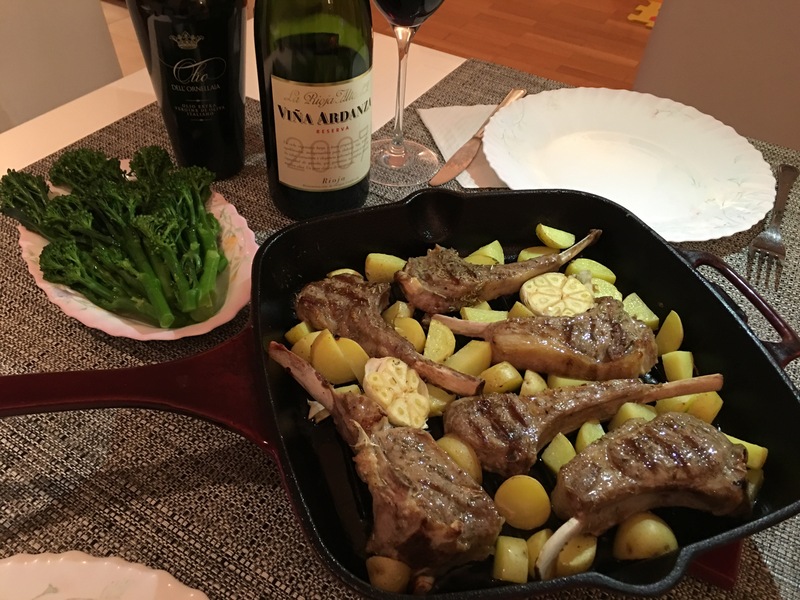 Food pairing: Rioja and lamb continues to be one of my favorites food and wine pairings. I paired this wine with lamb cutlets with garlic and rosemary (seared in the pan and finished off in the oven), roast potatoes and tenderstem broccoli.